The Cal King 11" TEMPUR-Adapt Medium Mattress and Tempur-Flat High Profile Foundation by Tempur-Pedic® at Great American Home Store in the Memphis, TN, Southaven, MS area. Product availability may vary. Contact us for the most current availability on this product. 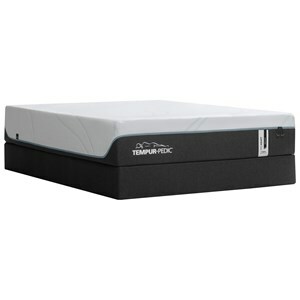 TEMP-20514190 Split Cal King Standard Base 9" Height 2 9"
TEMP-10734180 Cal King 11" TEMPUR-Adapt Medium Mattress 1 11"